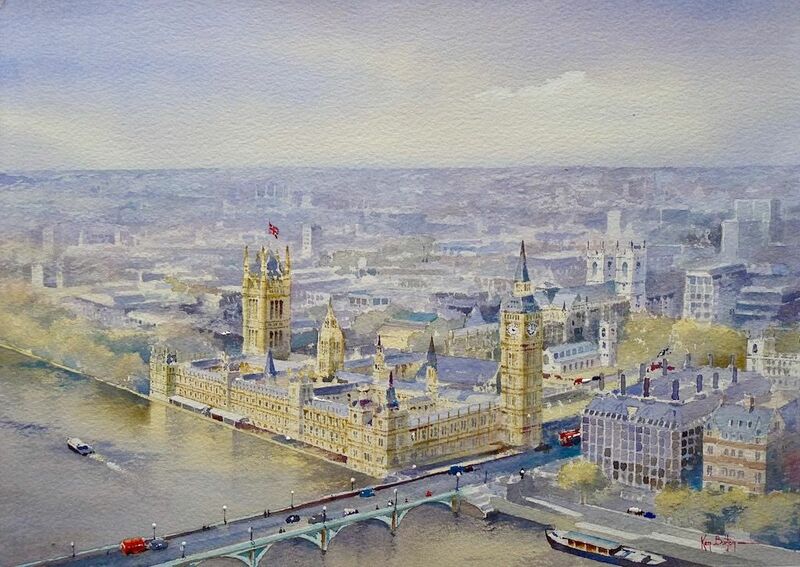 London, Westminster, London Eye-Artist Ken Burton, Paintings of Norfolk, Paintings of Yorkshire and cityscapes etc. Original Watercolour image size 13" x 9", double mounted to size 20" x 16" ready for framing. Westminster and River Thames as seen from the London Eye. Currently exhibited in the L'Bidi Gallery, Abotts Ripton, Huntingdonshire.